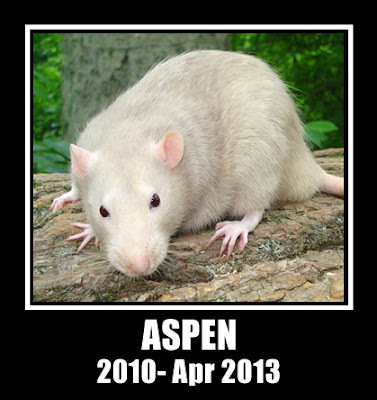 Aspen passed away on April 16th, 2013. He was a few months past 3 years old. 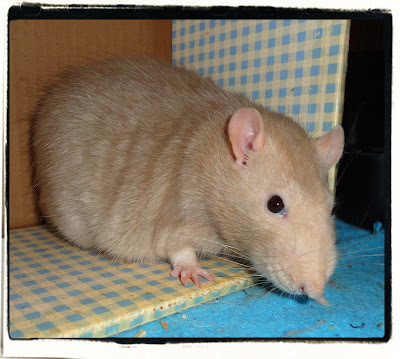 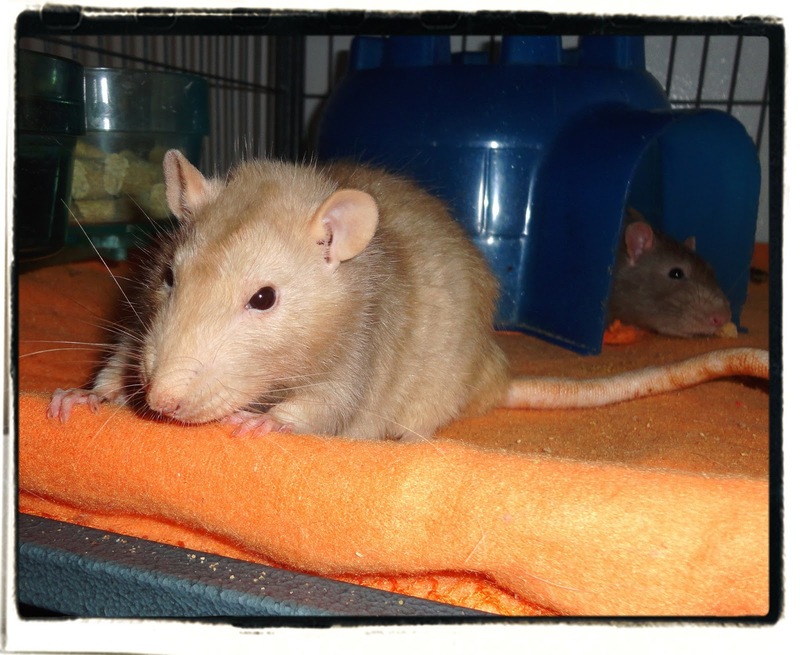 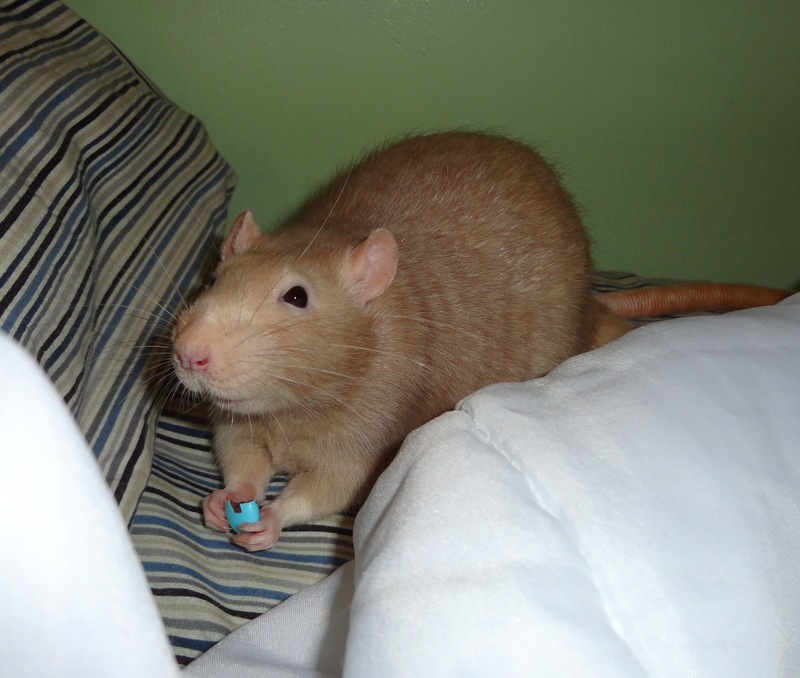 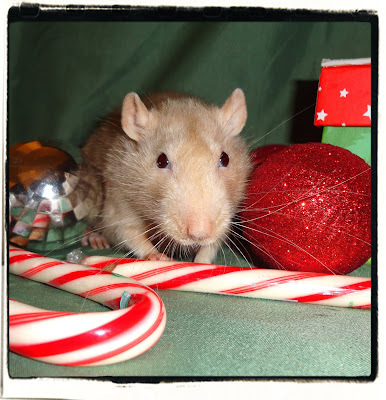 He was born sometime in 2010, though we didn't adopt him until April 2011 from Star's Rat Rescue of South Dakota. 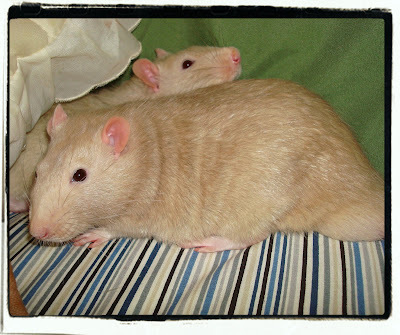 He was also featured in my work's newsletter with his brother Curry who passed away Sept 2011 in an article about pet rats & rescues. Aspen was frail in his old age and had lost the use of his back legs due to Degenerative Osteoarthritis, but he still got around pretty well.